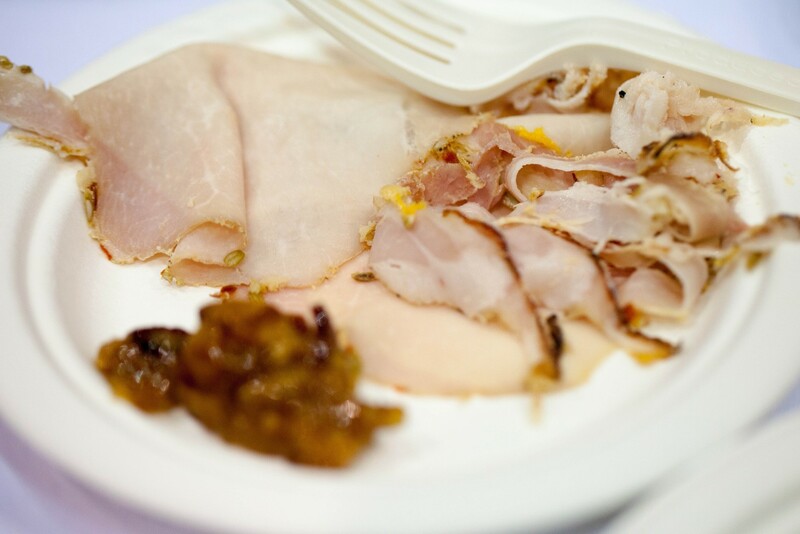 Bacon Nation, keep an eye out for the monthly “whole hog butcher class” on offer! Located just west of Damen/Milwaukee on North Avenue, these three concepts bring together some of Chicago’s favorite things: encased meat, cocktails and live entertainment. Housed in a 100-year-old former auto body shop, the Chop Shop boasts a facade with original brick and floor-to-ceiling windows. 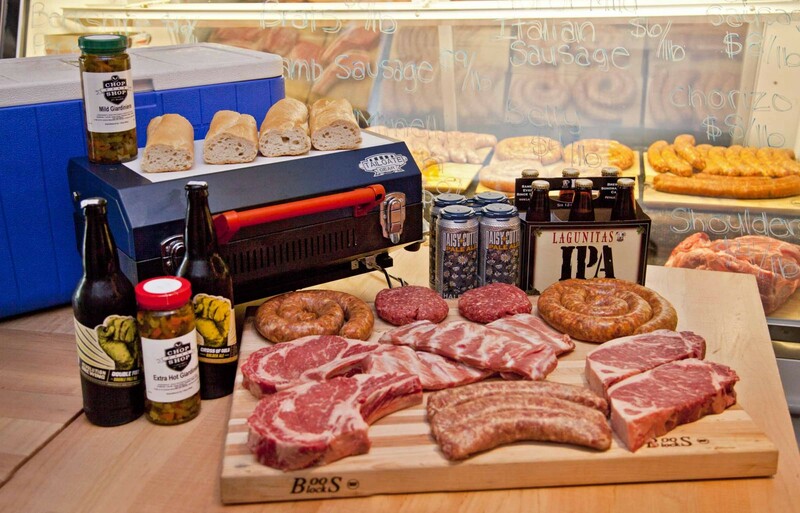 Upon arrival, guests step into the butcher/deli where glass cases showcase the daily meats, chops, sausages, and antipastos available for pick up. Adjacent to the deli counter, a glass window allows guests to watch the butchers at work while they converse with the knowledgeable team on the best cuts for their home cooking. For those looking for a bite, Minelli offers an array of fresh sandwiches and salads to enjoy in house or to go. Sandwiches are served on Turano French bread, Ciabbatta, wheat, or panini style and range from the Classic Italian (Mortadella, Hot Capicollo, Genoa Salami, with Provolone) and house made Porchetta (pork loin wrapped in pork belly; ingredients include fennel seed, rosemary, sage and orange and lemon peels) to house made roast beef (in its au jus), Italian sausage, and meatball sandwiches. Specialty grocer items include “Mama’s Meatballs” (a hand-rolled family recipe), homemade pasta sauces, lasagna, chicken and eggplant parmesan and an assortment of imported oils, cheeses and crackers. 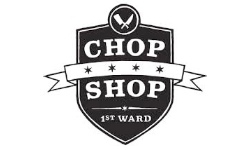 The first floor features hi-boy window seating, exposed brick, and oversized dark tufted leather booths with Chop Shop branded wood tables. The 27-seat bar, equipped with a butcher block bar top and chevron wood back splash, also has four flat-screen TVs, and 18 beers on tap (Half Acre, Lagunitas, Metropolitan, Two Brothers) making it a great neighborhood spot to catch a game. Custom swivel doors with windows allow a peek into the 1st Ward event space — the swivel functionality allows for the entire first floor to be used as part of the event space as well. Look up and you’ll see the catwalk, which leads from the upstairs patio to the 1st Ward mezzanine, creating a voyeuristic vibe between the two levels. 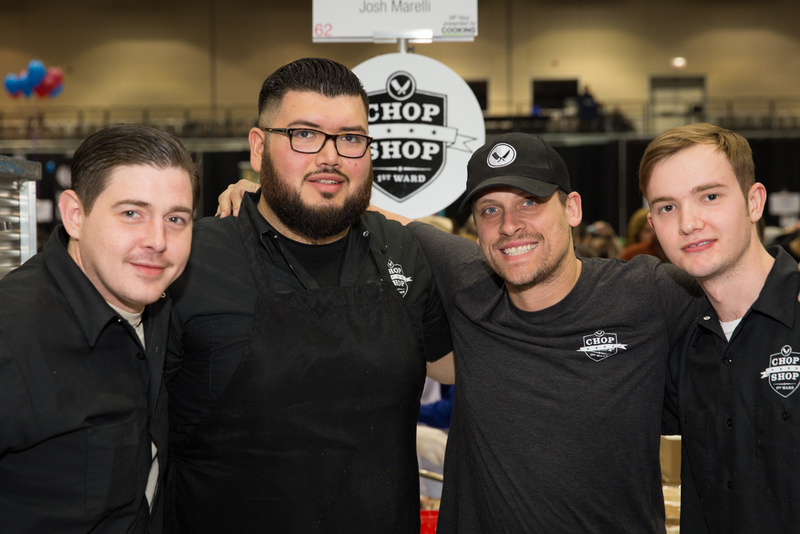 Executive Chef Joshua Marrelli heads up the dinner program for the 100-seat bi-level restaurant. Seating for dinner is available in the oversized booths and bar on the first floor as well as in the 60-seat dining room upstairs. Dressed in warm grays, exposed brick, and distressed oak floors, the dining room offers an intimate setting with an urban flare–the windows look right out to the Blue Line where guests can watch (without hearing) the train go by. Rustic wood tables are paired with bright red chairs (made from recycled Coca-Cola bottles) and a Carrera marble eight-seat bar with leather bar stools round out the whimsical room. Adjacent to the dining room is a “secret garden-style” 60-seat patio. Enclosed by four walls, and the blue Chicago sky above, it’s the perfect al fresco setting for drinks or dinner. 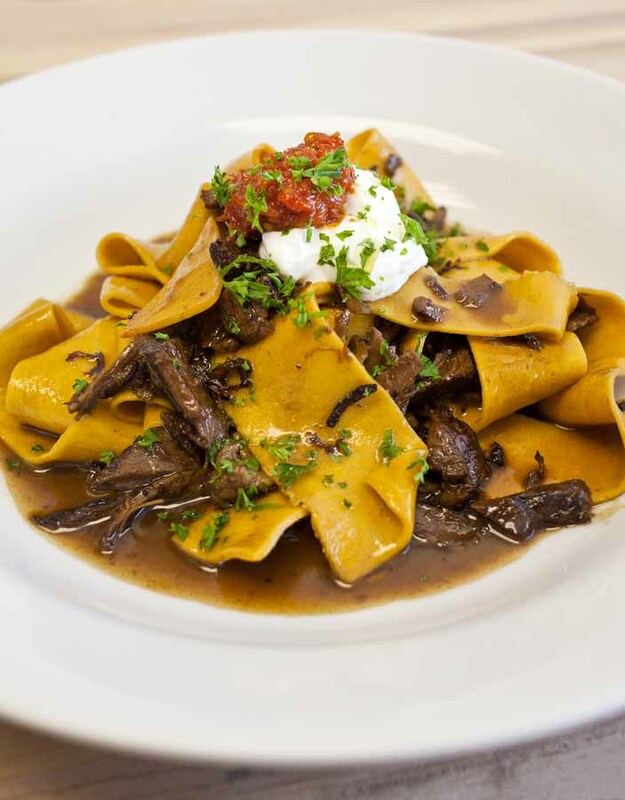 Marrelli’s menu sources seasonal fare from local farms and the in house butcher. 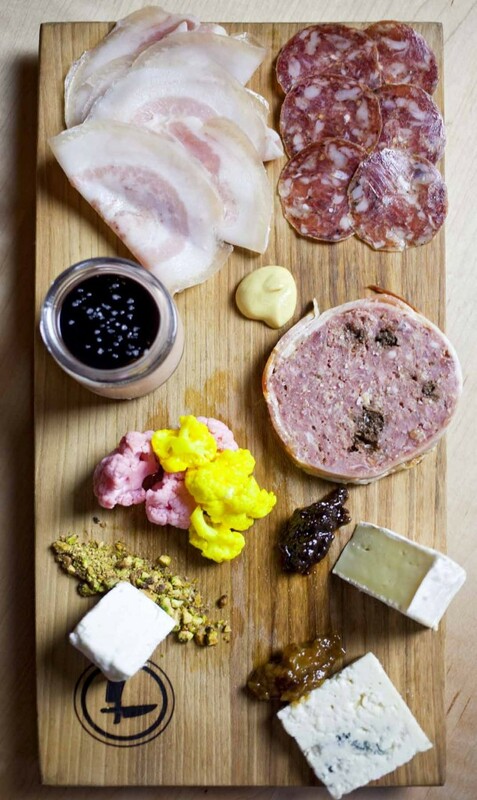 Menu standouts include starters like the Signature charcuterie plate (select meats and cheeses with crusty bread and homemade jams), Wilted kale salad (shaved mushrooms, soft cooked egg, balsamic vinaigrette and Parmesan cheese),. Entrees include the Butcher’s burger (Butcher’s blend of ground prime cuts, grilled with aged cheddar, charred red onions, smoked bacon and CS sauce, served with fries); Ricotta Gnocchi (an homage to Marrelli’s grandma’s recipe) and Herb marinated grilled half chicken. 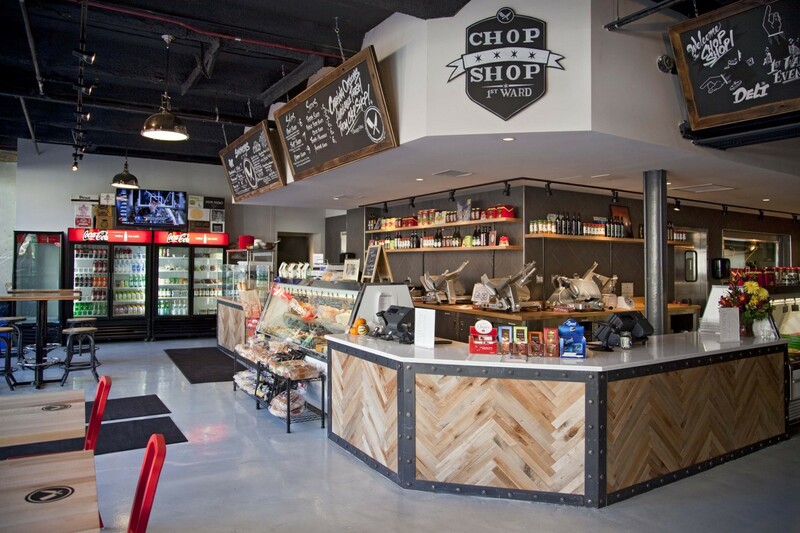 What truly sets the Chop Shop apart is its accessibility to great cuts of meat, allowing the restaurant to offer diners steaks and chops at an affordable price. Complement your meal with a glass or bottle from the selection of global wines an array of 1er Cru selections from Burgundy to Nebbiolo selections from Piemonte) or a signature cocktail like the ‘First Ward Pimms’ (Pimms #1, Bombay Gin, Green Chartreuse, Angostura bitters, Peychards bitters, lime juice, muddled cucumber and mint with Barrett’s Ginger Beer) created by mixologist Dan De Los Monteros. Private party space in the restaurant is available for up to 200 (1st Ward is 450). and Catering trays are available for pick up including a tailgate package. Reservations are accepted for dinner. Adjacent to the Chop Shop is a 6,000 square foot private event space. This stealthy space possesses a clean and versatile platform which enables it to host an array of different events – from live music and artistic performances, to private dinners, ceremonies and custom one-off events. The space selectively books a mix of third-party rentals and private events as well as original, in-house programming. John Wayne Formica, Chef de Cuisine, known as the Traveling Cowboy Chef or “The Duke” is somewhat of a Renaissance Man. Yes, this half Italian, half Lebanese lad was in fact named after the Old West actor John Wayne. And while most have difficulty reconciling two strongly diverse cultures, John has always fused them nicely together in the kitchen. His father was in the military and his mother was a pastry chef/engineer allowing him to spend much of his time with his grandparents. Both paternal and maternal grandparents were in the restaurant world, thus thoroughly immersing John as a young “foodie” which he only came to realize years later. Even so, he had no desire to become a chef or work in the industry. He did, however, work on the line during high school at a fish market, and then at an Italian restaurant becoming head pizzaole. Standing in front of a 1200-degree brick oven, he concluded that this wasn’t the profession for him. He transitioned to a short- lived career in media engineering and deejaying whereby he was faced with the late- night partying scene. Feeling unfulfilled and wanting more for his life, he made the decision to clean up and redirect his path by joining the army. As expected, the Army was a life-changing experience. As a result of injuries in the service, John was released from the Army. In the end he learned he was meant for the military, it just wasn’t meant for him! Yet again, he found himself transitioning in life, and just by chance, venturing into cooking again for friends and neighbors. 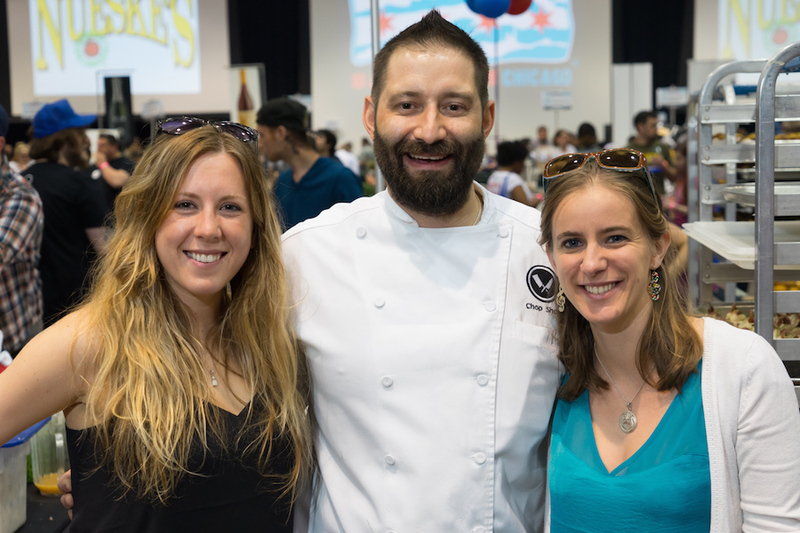 He made the decision to return to Chicago to pursue his newfound culinary dream and be close to family while attending The Cooking and Hospitality Institute of Chicago, Le Cordon Bleu Program (CHIC). There he excelled at all levels, even pastry. For his externship, he chose to trace his roots and cook under Master Chef Biagio Longo in Sorrento, Italy. 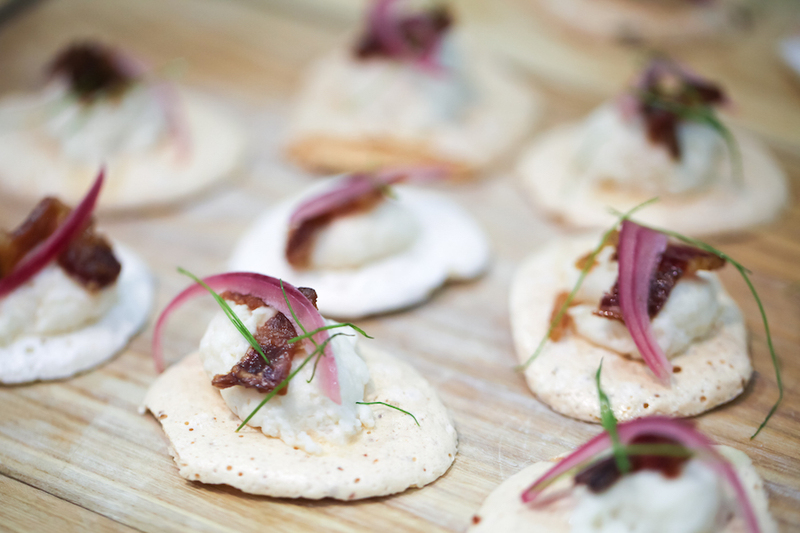 Returning to the States, he took an opening positioning with Marcus Samuelson as Sous Chef at C-House. After a year, he moved on to learn the art of high-volume cooking in catering. Through interviews and tasting’s during that time, he eventually was introduced to Chef Rodelio Aglibot and the two hit it off. 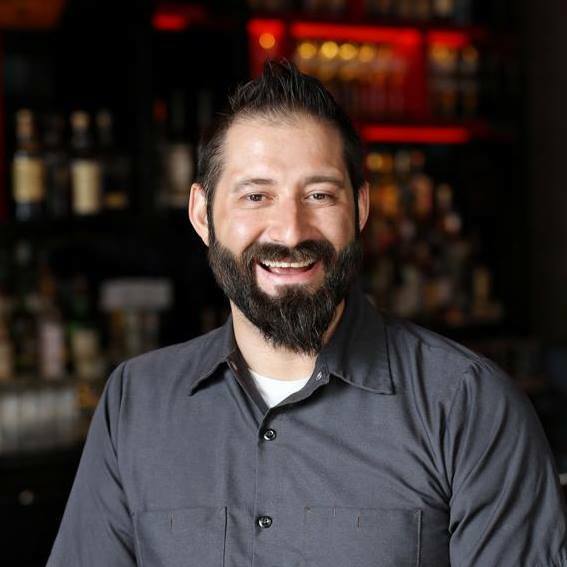 Aglibot hired John as an opening Sous Chef at Rockit Ranch Productions’ New Asian concept restaurant, Sunda. Their partnership has grown through their time at Rockit and he has been an integral member in building the E+O concept with the Intrestco team.